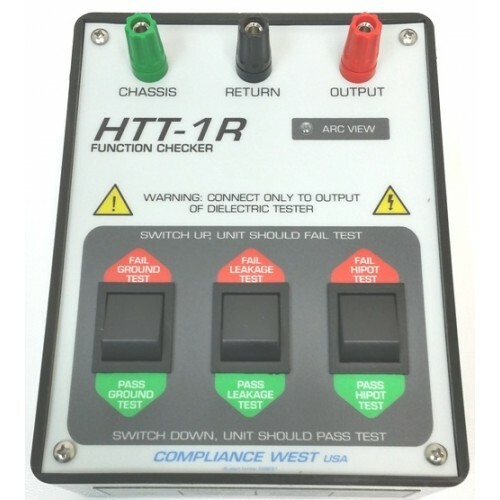 The test leads allows connection of the HTT-1R to any hipot tester using a standard NEMA 15A receptacle, or use the leads on the hipot and ground tester to connect directly to the HTT-1R. The manual contains anticipated results and suggests testing procedures. 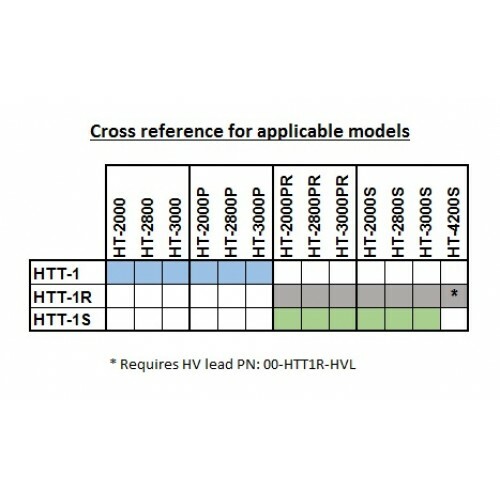 The maximum voltage the HTT-1R can test is 3000Vac/4200Vdc. HTT-1R Custom, Function Checker, Ground (Pass 0.025, Fail 0.1Ω) Leakage (Pass per customer Ω) Fail (per customer Ω) Arcover 750V ± 400V. 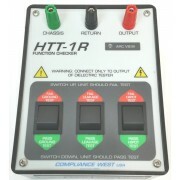 The HTT-1R is a passive device. No batteries or power is required.